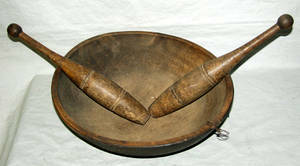 020312: HAND HEWN WOOD SALAD BOWL AND JUGGLING PINS, C.
HAND HEWN WOOD SALAD BOWL AND JUGGLING PINS, C. 1880, 3 PCS., H 5" X 16" DIA BOWL, L 16" PINSsalad bowl carved from one piece of wood. 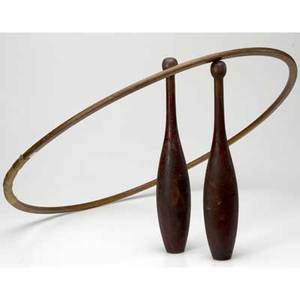 Archived auctions similar to 020312: HAND HEWN WOOD SALAD BOWL AND JUGGLING PINS, C.
Theatrical memorabilia from the de revuelta studios dancing school in new york. 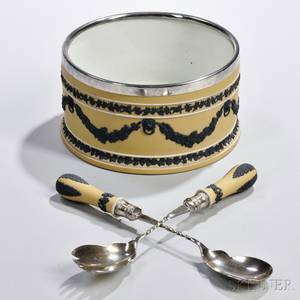 includes period photographs, magazine clippings, hula hoop, and juggling pins. 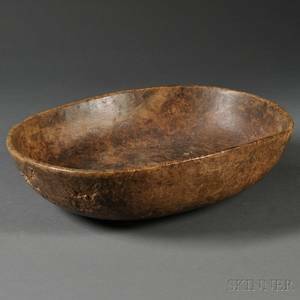 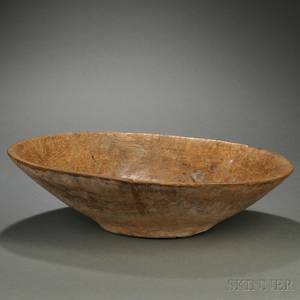 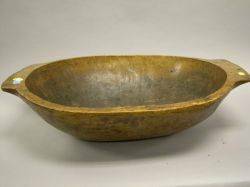 Large Hewn Wood Chop Bowl.